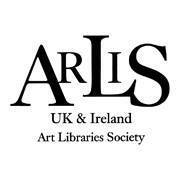 Artifex Press is pleased to be a sponsor of the ARLIS/UK & Ireland 2017 Conference: [R]evolution: Re-imagining the Art Library. The Art Libraries Society of the United Kingdom and Ireland conference will take place in Dublin at the National Gallery of Ireland July 12-14. James Whittaker, Sales and Marketing Director, will present a lightening talk titled "The Digital Catalogue Raisonné" on Wednesday, July 12, during Session 4 at 4:14PM.